There are many different types of Osteopathic techniques which are built upon the osteopathic philosophy of restoration or organic and non-organic movement to allow the body’s structures to operate with maximum capability and restore lost functions. Most importantly, freedom from restriction allows the body’s own healing mechanisms to bring about deep and lasting healing. Below are just a few of the many techniques within the scope of Osteopathy. 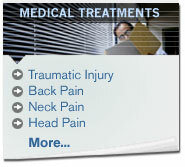 Cranial osteopathy is a specific approach within the osteopathic concept. It influences the structure and cerebral spinal fluid surrounding and bathing the central nervous system, creating an impact on the total body and initiating the body's inherent capacity to heal itself. Fascial connections throughout the body are contiguous with the linings around the central nervous system, including the dura and other structures. Practitioners of cranial osteopathy utilize a manual approach to accomplish these goals within the practice of Osteopathic Medicine. Visceral manipulation blends the interrelationship of the structure and function of the internal organs as a venue to provide treatment of the musculoskeletal system. Integral organ health and a network of supporting structures may be manipulated to promote enhanced organic function. Organ mobility may also be enhanced by this procedure thus as a constituent part of muscular freedom of motion. Manipulation of the viscera can be beneficially used in the treatment of internal organ dysfunction, structural musculoskeletal dysfunction, and many other disease states. Your body’s fascial support system has a tensile strength of about 45,000 foot pounds per square inch which makes it roughly equivalent to that of soft steel. This procedure is designed to treat primarily the myofascial structures that are ubiquitous throughout your body. When we consider that your body’s fascial system provides support and responds to stresses and strains, it is crucial for these to be free of restriction. In the use of direct myofascial release treatment (MRT) a restrictive barrier is engaged in the myofascial tissues. The tissue is loaded with a constant force until release occurs. In treating with indirect MRT the dysfunctional tissues are guided along the path of least resistance until free movement is achieved so that your body may operate in a free and smooth manner. Lymphatic fluid movement is how your body transports extracellular material such as waste and nutrients for exchange. This manual procedure is designed to promote circulation of lymphatic fluids and can be used to treat various illnesses. Many techniques of this genre involve increasing breath and excursion of the chest wall and abdomen. The lymphatic system, unlike the arterial system, is a low pressure system that flows in response to negative intrathoracic pressure within the chest cavity during the respiratory cycle. Lymphatic stasis or poor movement of lymph leads to pooling of these fluids and a build up of waste within the body and a lack of proper distribution of nutrients. Often muscles and joints become restricted to motion due to muscle spasm. In chronic cases this may lead to fibrosis which is the body’s inappropriate response to a lack of motion by creating more dense collagen fibers causing fixation of joints. With this gentle technique, the patient can be directed to use his or her muscles from a precise position and in a specific direction against counterforce applied by the physician. Properly applied, Muscle Energy will restore motion, decrease muscle tissue changes, and modify asymmetry of somatic dysfunction through a normalization of joint ranges of motion and a break up of fibrous tissues. The Counterstrain technique is a a very gentle passive procedure specifically designed to address severe tender points in ligamentous and muscular tissue. Many severe tender points are due to mixed up signals coming from unbalanced gamma gain from the Golgi tendon organs at the site of these soft tissue structures. In this treatment procedure, the patient is moved passively away from the restricted motion barrier, towards the position of greatest comfort. At this point appropriate gamma gain distortion within the affected muscle fibers is restored to normal thus relieving painful stimuli. Our bodies provide a map of our life experiences. Physical and emotional traumas can leave their mark in our fascia. Somatoemotional Release is based on the fact that the tissues of the body are extremely sophisticated. So sophisticated, that they are capable of recording significant traumatic events of one's life, burning these patterns into your muscle memory. Gentle unwinding fascial and cranial techniques may be utilized to release these imprints that often block healing. Complete health is attained with the restoration of full motion of our physical body and releasing of emotional distortions that inhibit the body’s free flow and healing capacity.